On occasion, State law enforcement agencies, manufacturers or other interested parties will ask the Coast Guard what laws and regulations apply to a particular device being used, or considered for use, on the water. The Coast Guard's first step is to determine whether or not the particular device in question is a "vessel". The process begins with the definition of the word vessel found in 1 USC 3, which is: "The word "vessel" includes every description of watercraft or other artificial contrivance used, or capable of being used, as a means of transportation on water." The following have been determined to be vessels by the Coast Guard. administering the particular program(s) with which you are concerned. 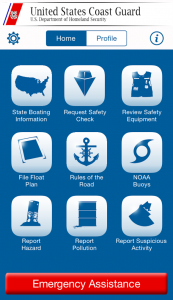 The U.S. Coast Guard's Boating Safety Division (CG-BSX-2) is dedicated to reducing loss of life, injuries, and property damage that occur on U.S. waterways by improving the knowledge, skills, and abilities of recreational boaters.